Loving all the rose gold beads, charms and jewellery that are everywhere right now? 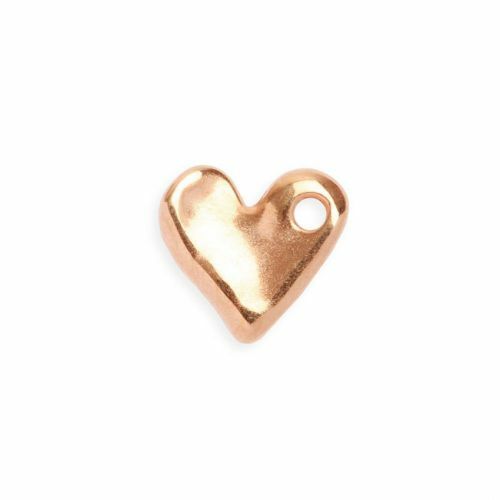 If so then these rose gold plated zamak irregular small heart charms are perfect for you. They are nice size for using to make earrings, bracelets and necklaces, what will you do with yours. Each heart measures approx. 16mm. Threading hole measures approx. 3mm. These charms are made from zamak, a zinc based alloy which also contains aluminium and copper. This alloy is lead and nickel free.